This is the first time I submit to a WPlus9 Challenge. It is a company that I fell in love with last year, so I am hoping this "older" stamp set qualifies for a Throwback Thursday Challenge in which they are featuring the Pretty Patches and Country Charm sets that I do not have in my stash but I have Winter Pals from last year that I simply love! 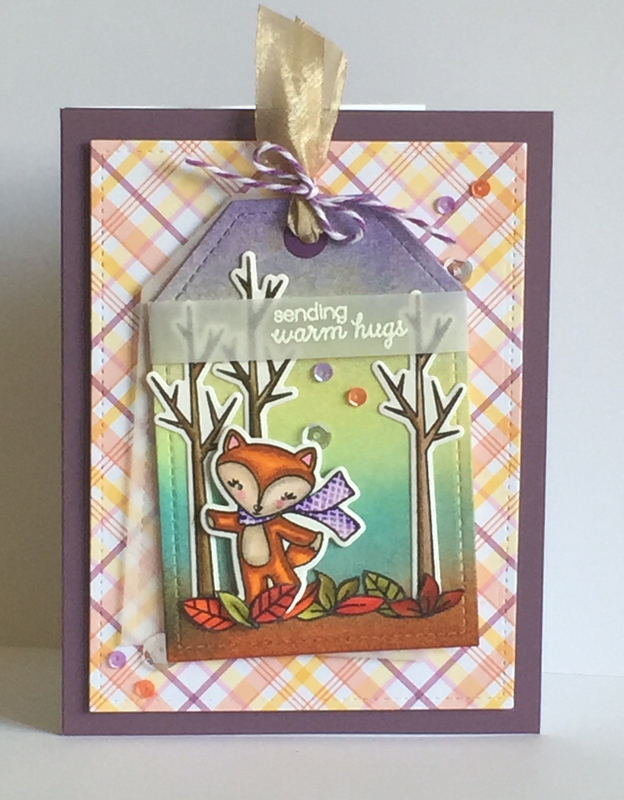 I chose to mimic the "sketch" of the 3rd card made by Maureen Merrit over at the WPlus9 Challenge. I used my Zig Clean Color Brush Markers for the Fox and Trees both from the Winter Pals set, I love those markers! For the Zig Markers I used Stratford Bristol Paper as recommended by Nichol Magouirk, love the blending it offers. I used Distress Inks to make my fall background and the Pattern Paper for the rectangle piece is from MFT. Thanks so much for taking the time! I love comments, they make my day feel free to leave one! I finally received my Zig Clean Color Brush Pens! I decided to spoil myself and order the big momma 60 pack - and I can honestly say I do not regret it! To me, they colour like Copics that meets watercolour! I just love them. 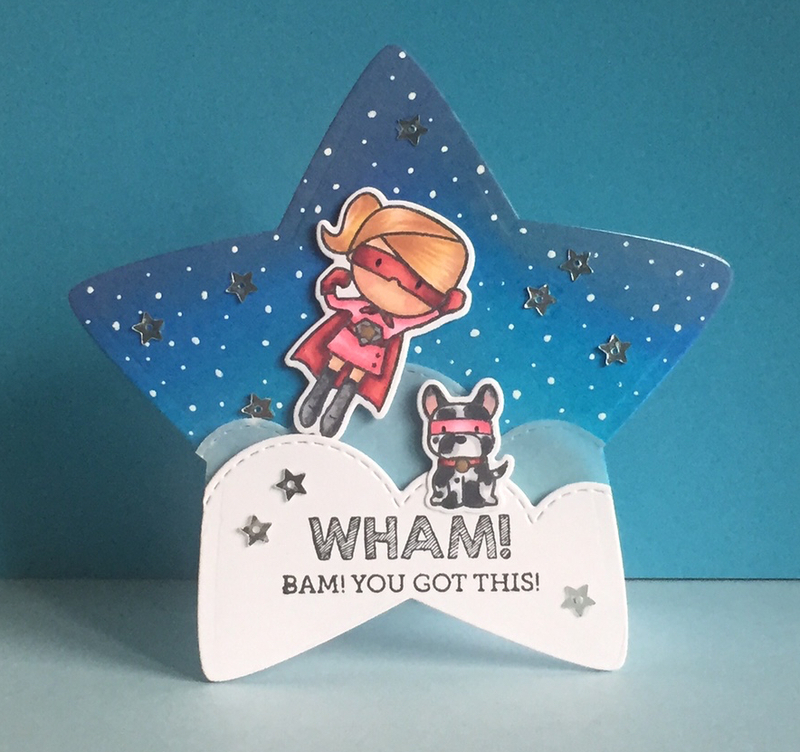 I wanted a large stamp to test them out on so I opted for an older Hero Arts flower stamp that has been loved! Hero Arts Cling Flower Stamp, Mama Elephant sentiments, PPP Sequins, Black glitter Washi tape and Lawn Fawn Stitched Rectangle Dies. 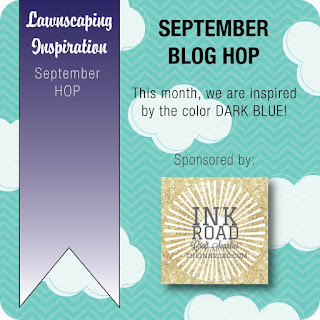 Lawnscaping FIT Team Blog Hop - BLUE! Happy Friday! 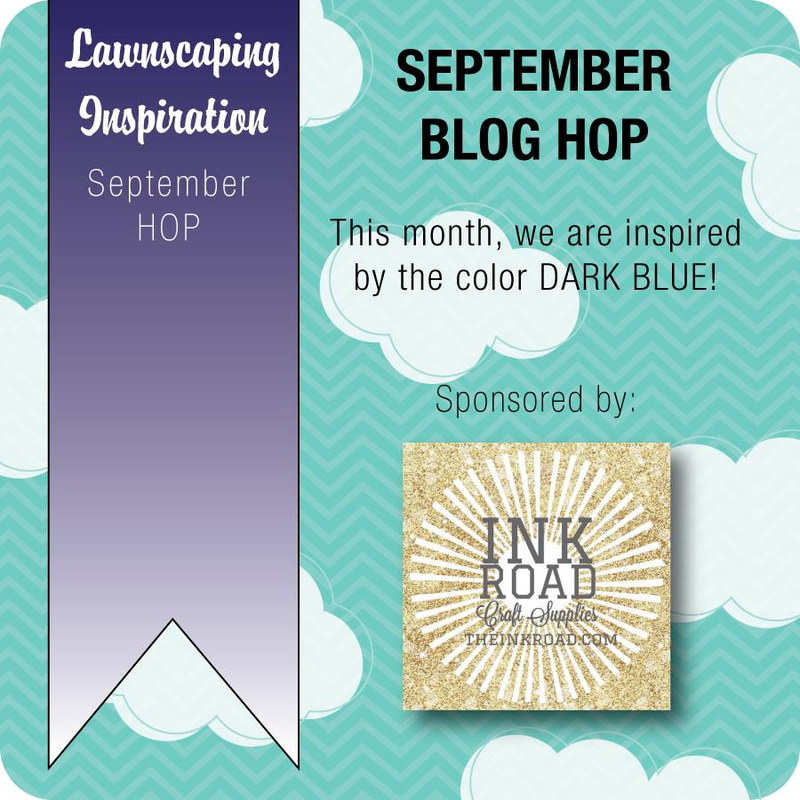 This is Kim from the Lawnscaping FIT team and welcome to the September Blog Hop - we are loving Dark Blue this month! 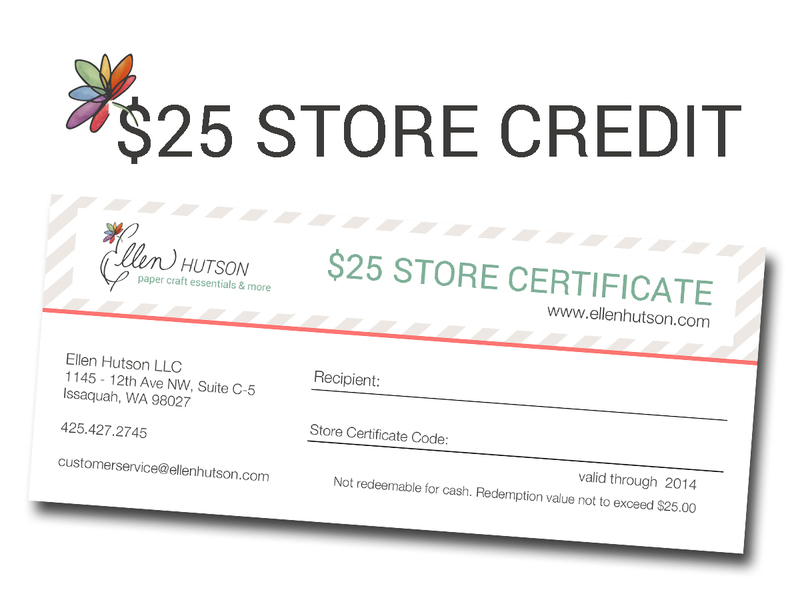 The wonderful sponsor for this hop is The Ink Road you could win a $25.00 gift certificate to this store! All you need to do is leave a comment with a trackable e-mail on each stop on this hop! 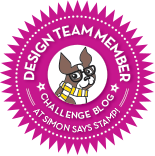 You will have arrived here from the talented Kate 's blog. 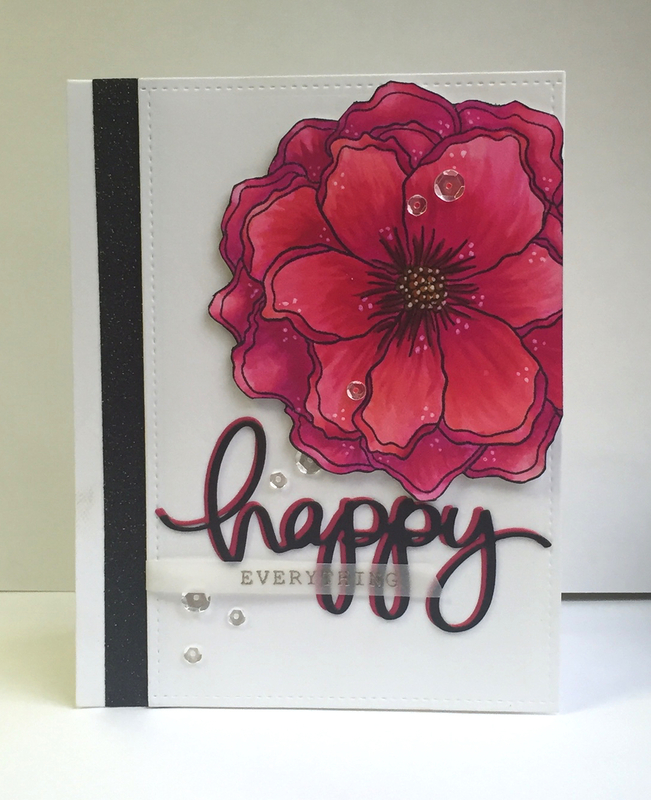 My card is a CASE of a card made by Sandy Allnock, she has mad colouring skills and I find I learn so much from her. I have a ways to go but she really makes if fun and easy to follow. She was showing tone on tone colouring and I picked the Lawn Fawn Yeti to be my guinney pig! I added more embellies than she did on her original but I am embellishment obsessed. 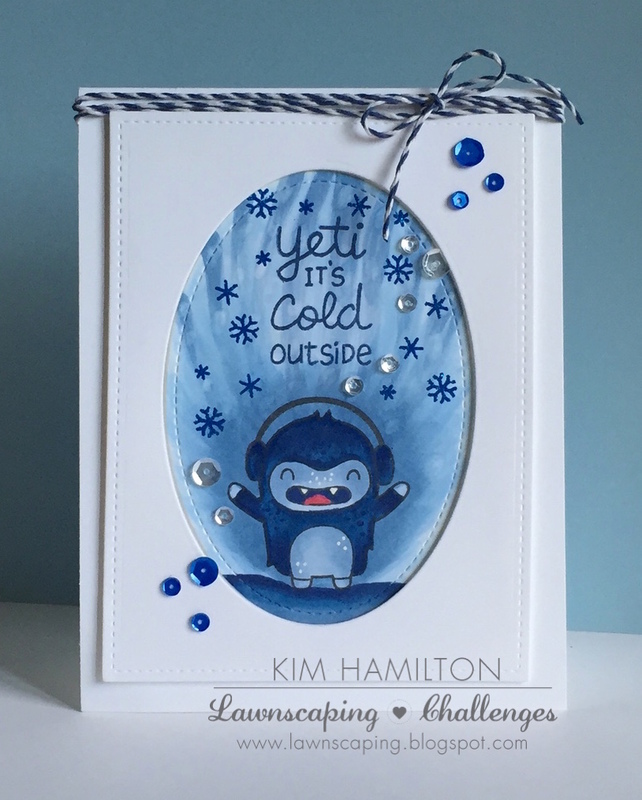 Lawn Fawn stitched rectangles and ovals, Yeti it's Cold Outside stamp set. All Copic colouring some dark blue sparkle embossing powder and PPP sequins! 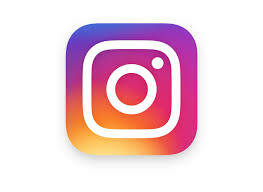 Don't forget to leave a comment! Your next stop on the hop is the wonderful Lenny 's blog! If you have trouble along the way go to Landscaping.blogspot.com for the entire list! 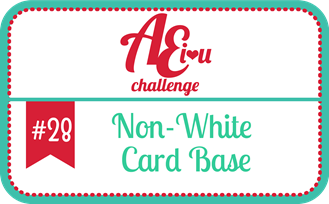 This months challenge at AEIheartU is a non-white card base, I received my newest Avery Elle order this week along with my Zig Clean Brush pens! So excited for both so I decided to try them on that Moose from Snow Much Fun! Along with the Avery Elle Snow Much Fun set and dies I also used the Naughty or Nice stamp set and the Snow Caps Elements dies. Red card base, Tumbled Glass Distress Inks I also used Strathmore Bristol Paper for the entire scene. Nichol Magouirk suggested this paper for the Zig pens and I have to say I am very happy with the results! 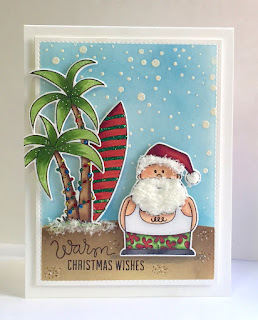 I could not wait to play with this wonky Santa from the SSS Stamptember release! The SSS Flickr Challenge this week is emboss resist so I figured a snowy beach surf bum scene would be fun! I masked off the sand with masking paper, used the SSS falling snow stencil with Versa Mark ink and Zing white embossing powder. I then blended Tumbled Glass and Mermaid Lagoon Distress Inks for the snowy sky. I used Antique Linen and Gathered Twigs for the sand. I then Copic coloured my images and used the matching SSS dies all from the Warm Christmas Wishes set. I added some Stickles and Polar White Flower Soft on Santa's beard and at the base of the tree. 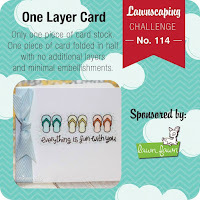 Lawnscaping Challenges - One Layer! Good morning! 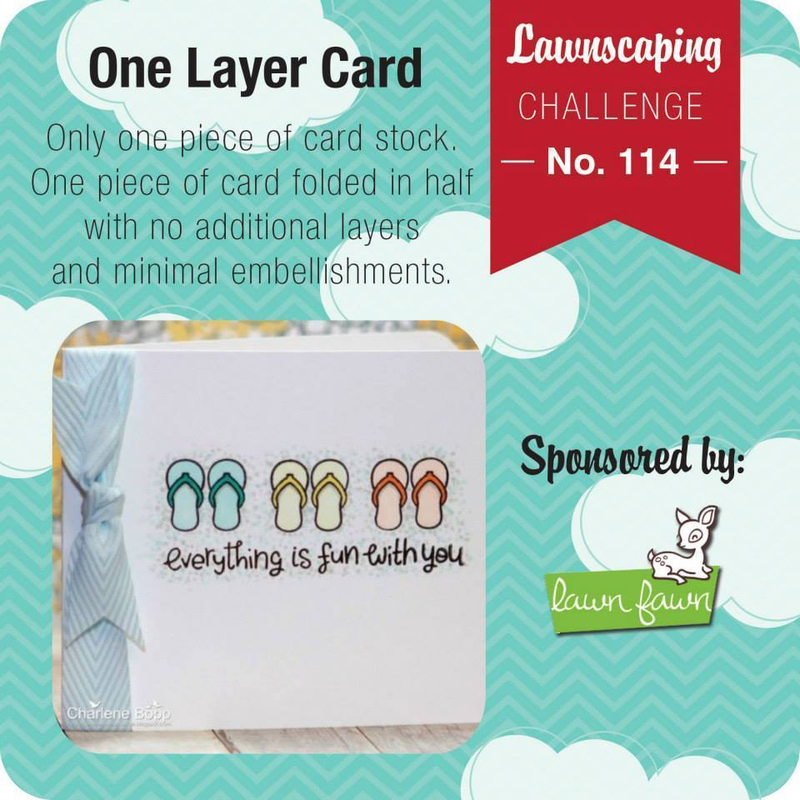 Time for a new challenge over at the Lawnscaping blog! One layer cards is the challenge this week and if there is a challenge for me it is one layers! Although, this one was fun to do, yes it is a Christmas one... 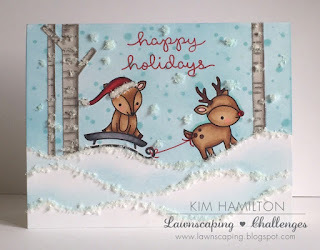 But I just couldn't resist these new Lawn Fawn holiday stamps from Toboggan Together. Lots o' masking on this one! I made masks out of the Lawn Fawn Stitched Hillside Borders. I then stamped the birch trees from last years Joy to the Woods set and the deer and tobaggan from Toboggan Together. Fussy cut masks for all of the stamped images. 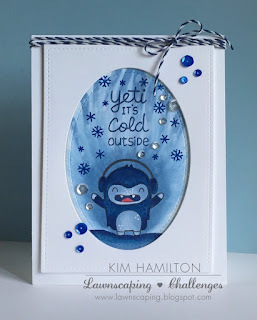 I used Tumbled Glass distress ink for the background and snow hills and then stamped the snow with one of the Let is Snow stamps. Removed the masks and used Copics for the stamped images. 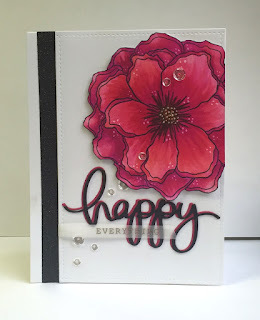 I finished it off with Polar White Flower Soft and stamped the sentiment (also from Toboggan Together) with Wild Cherry MFT ink, my favourite red ink. The Mama Elephant Challenge over on Flickr this month is shaped cards. My inspiration took me to the Mama Elephant Tiny Heroes set mixed with Lawn Fawn Puffy Stars dies. I love this card as supportive "you rock, you can do this" friendship card. I used a mix of Distress Inks for the background added white gel pen stars. I used the Mama Elephant Cloud Dies for the bottom clouds white and vellum. All stamps from the Tiny Heroes set Copic coloured. Finished it off with PPP star sequins. Good morning! 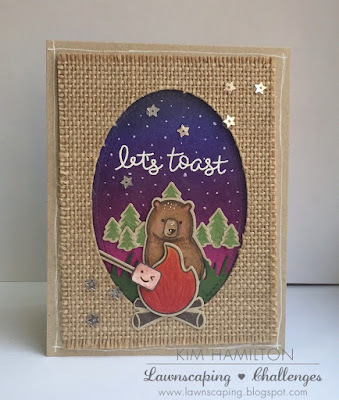 Kim here from the Lawnscaping Facebook Inspiration team with a cute bear project for my monthly post. The new challenge over at Lawnscaping began yesterday and it is all about texture! I think I am in denial about the end of summer :( so I figured a camping scene with a nice warm fire was appropriate, evenings are beginning to get cooler and backyard and camp fires are going strong. This is a Lawn Fawn set that I love and for some reason have never used it! I though this bear was to adorable to stay in his packaging. I figure he looks like a Wally lol! All stamps from the Love you S'more stamp set from Lawn Fawn coloured on Kraft paper with Prismacolor pencils (one of my favourite ways to colour) I also used the small stitched rectangles and stitched ovals with burlap paper for the frame. I used distress inks for the night sky and Pretty Pink Posh stars. 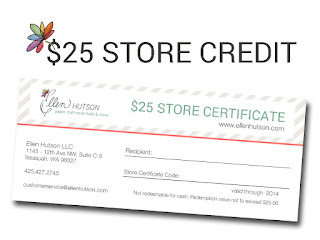 The lucky winner of the challenge will receive a $25.00 gift card from the fabulous Ellen Hutson on-line store! 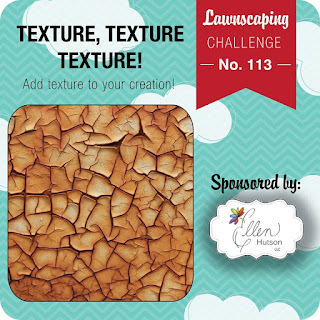 Lawnscaping Challenge #113 - Texture! 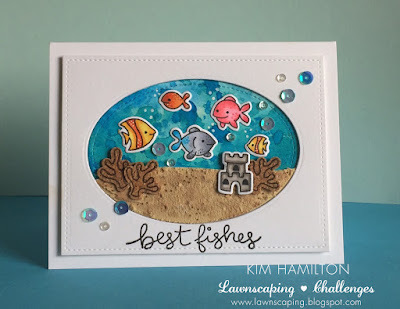 Hi everyone, Kim from the Lawnscaping FIT team! It's time for the next Lawnscaping Challenge - Texture! 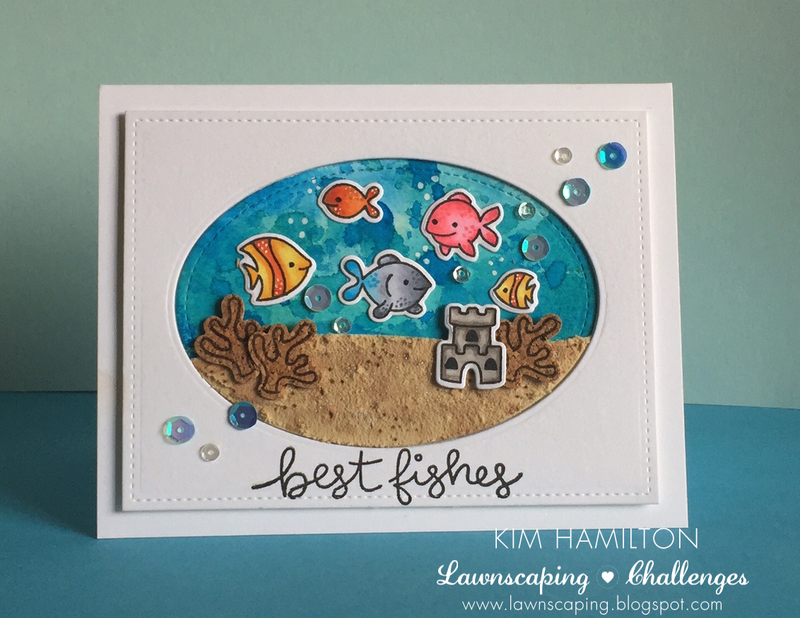 I enjoyed making this one, of course, I just love these Lawn Fawn fishes from the Fintastic Friends set! My texture came from texture paste mixed with a little Distress Gathered Twigs ink for the sand. Finatastic Friends stamp and dies by Lawn Fawn, large stirred circle dies, small stitched rectangles (all Lawn Fawn), copic colouring on the stamps. Distress inks background, Ranger Texture Paste and a mix of sequins!